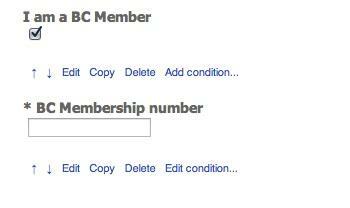 Anyone who ticks the 'BC Member' box, must now fill in their membership number before submitting the form. This can be applied to any fields, for example you might make a warning or declaration conditional on a particular box being selected. 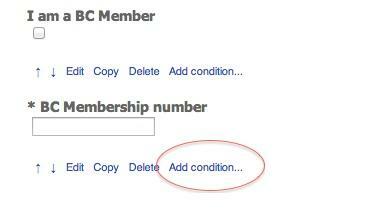 You can make as many questions as you like dependent on what the user has selected, you can even make a field conditional on another conditional field, for multi-level forms - but we'll leave an example of that to another day!